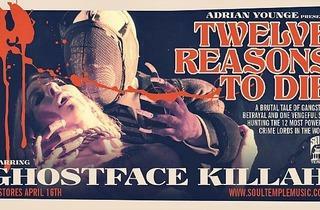 ArtDontSleep is presenting this one-of-a-kind concert-slash-album release party for Ghostface Killah's new album, Twelve Reasons to Die. The concept album is a collaboration between him and producer Adrian Younge and sounds like "Wu Tang Clan meets Portishead meets Kill Bill." If you need even more to pique your interest, the CD is being released along with a comic book and was inspired by classic Italian Spaghetti Western film scores. 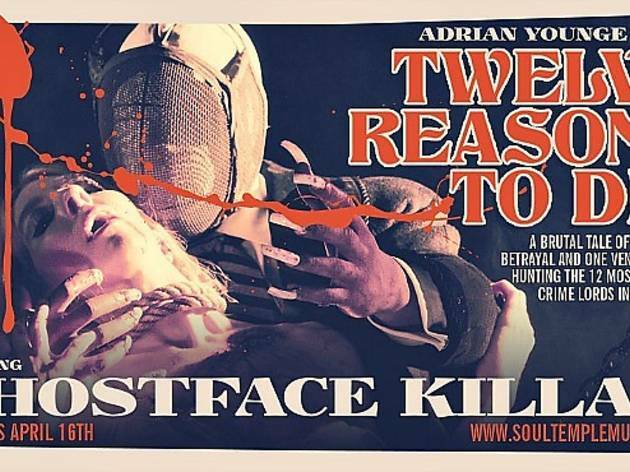 This LA stop of the accompanying tour will feature performances from Ghostface Killah with Adrian Younge's Venice Dawn, Blu & Exile featuring Dag Savage, Roc Marciano and a DJ set by the Gaslamp Killer. DJ Mark Luv will host the night.